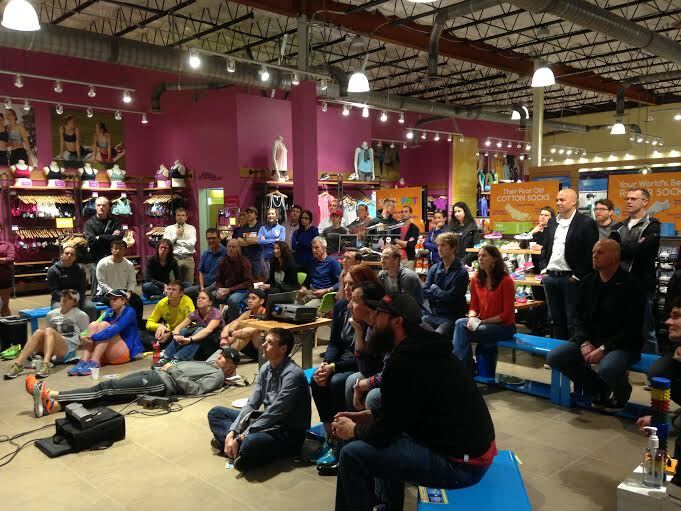 Approximately 50 DCCS friends attended Kissing the Rock - The Hardrock Hundred Mile Endurance Run film screening at Roadrunner Sports on Thursday evening, April 28. 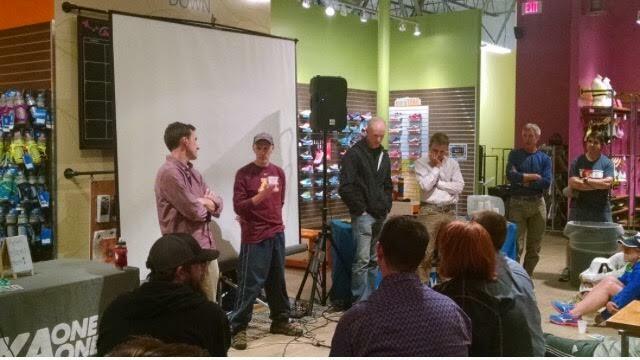 The short film follows a few runners on their grueling journey in the San Juan Mountains in Colorado. 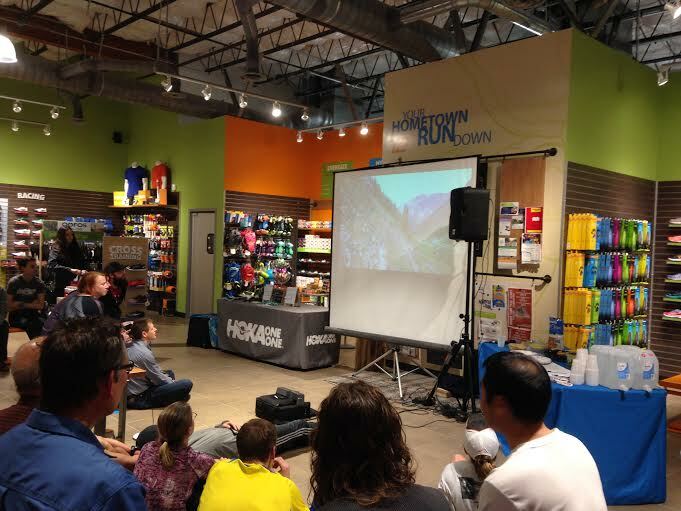 The race starts and finishes in Silverton, CO, a former mining town, and features 67,984’ of elevation change at an average elevation of over 11,000 feet. 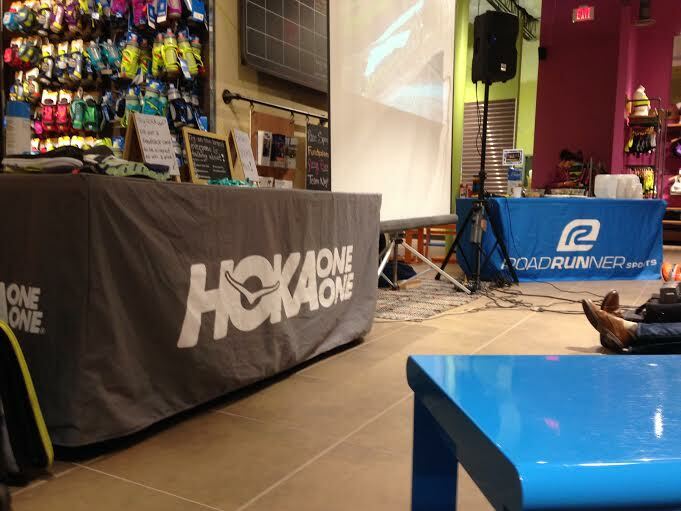 At the pre-screening run, a HOKA representative brought one of the newest models, Clayton, for runners to try. 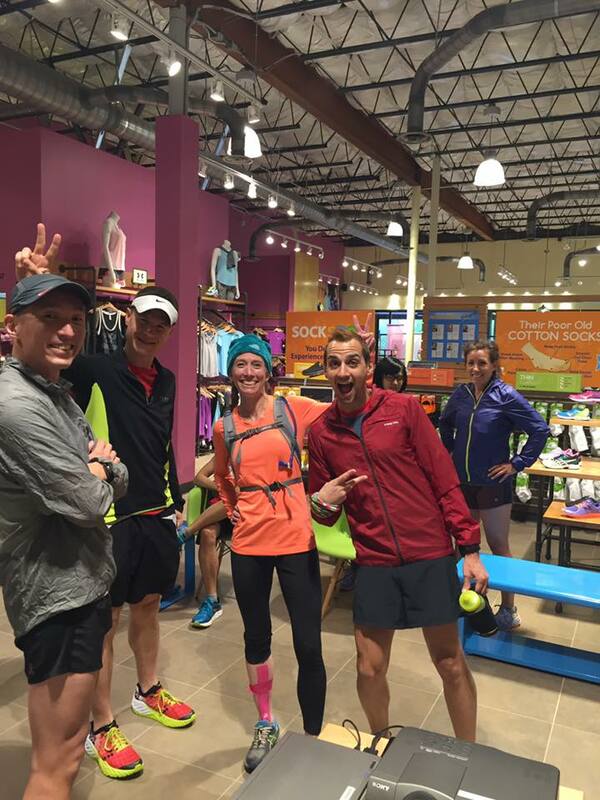 Many jumped on the opportunity to take this light and fast shoe out for a spin on the W&OD trail. 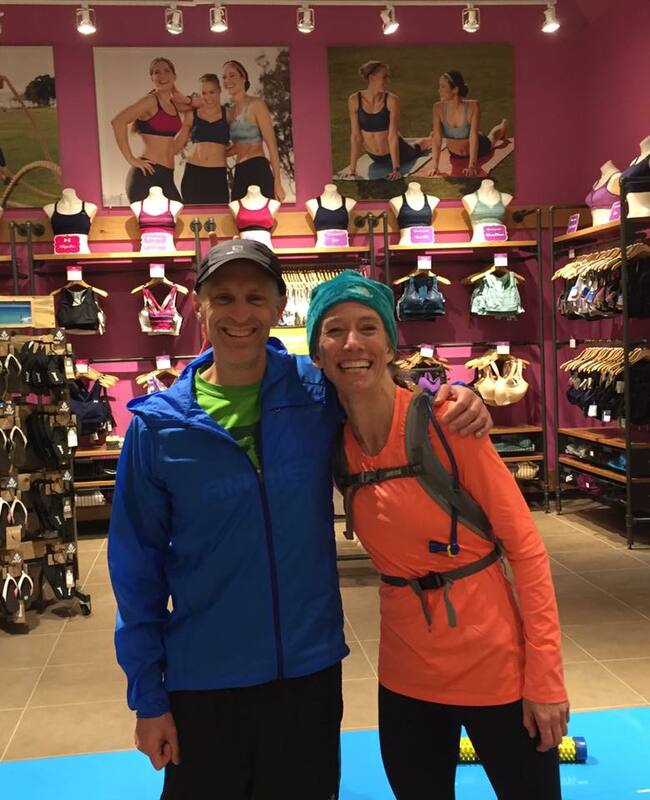 The misty condition might have steered the usual trail-users away, but definitely not the deer! 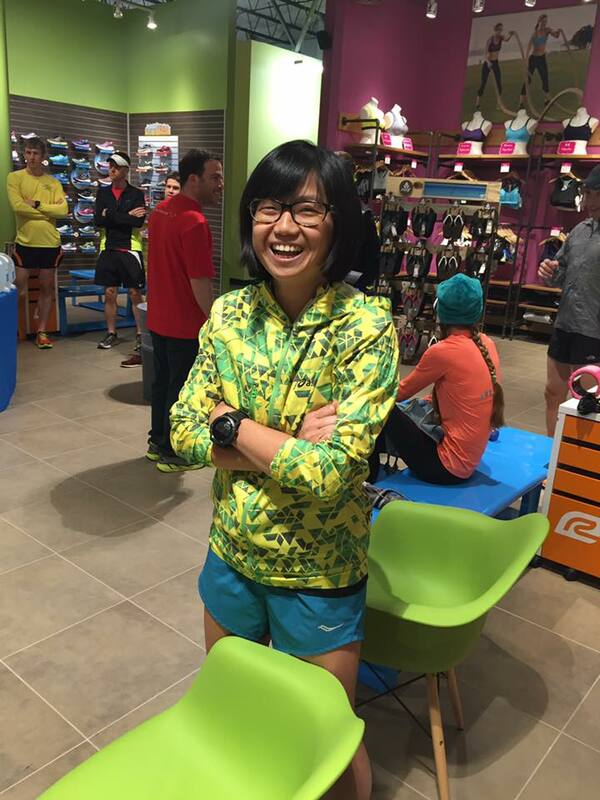 Shortly after 7 p.m., runners returned to a bustling store with a lot more people and much less room to roam. After a short introduction by Club President and organizer Rick Amernick, the “main course”, Kissing the Rock, was served. Even though the film was only 22 minutes long, it had filled the audience with awe of both the tenacity of the human spirit and the raw beautiful of nature. 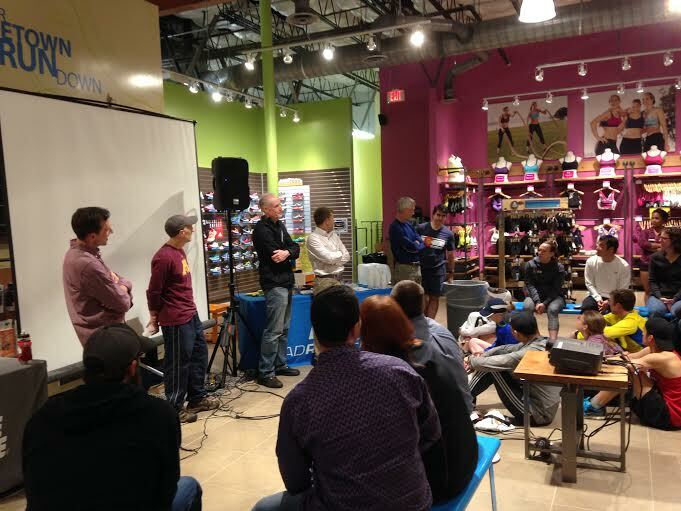 A panel of Hardrock finishers were introduced and shared some of their high- and low- experience. 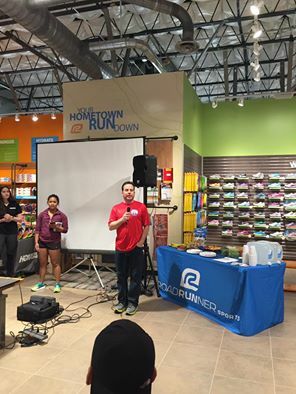 Special thanks to our host Roadrunner Sports- Falls Church for providing us the venue and the friendly staff who stayed late to serve us!! !